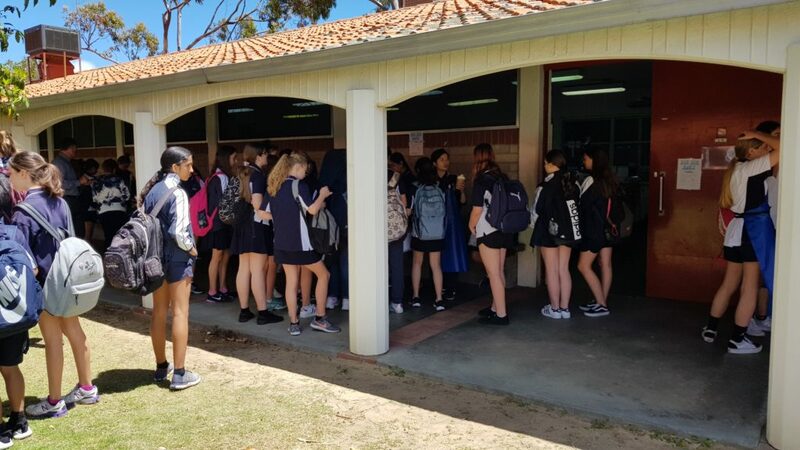 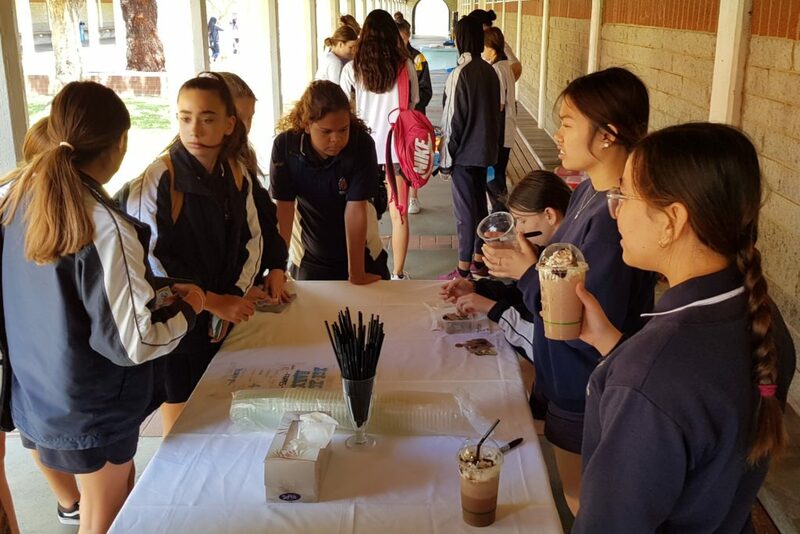 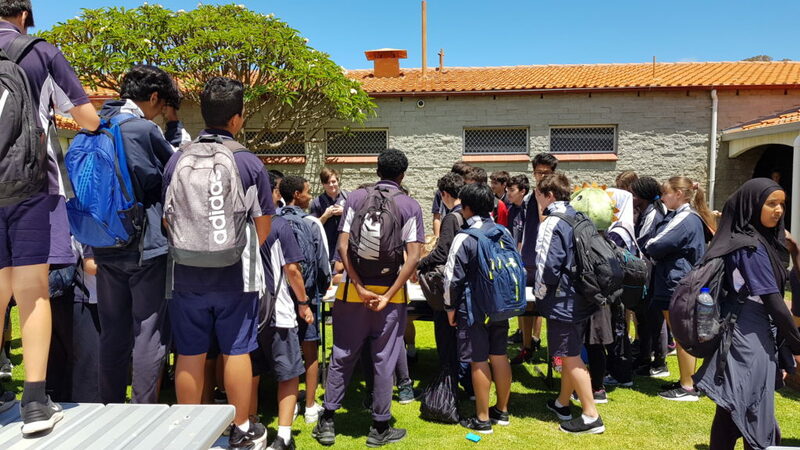 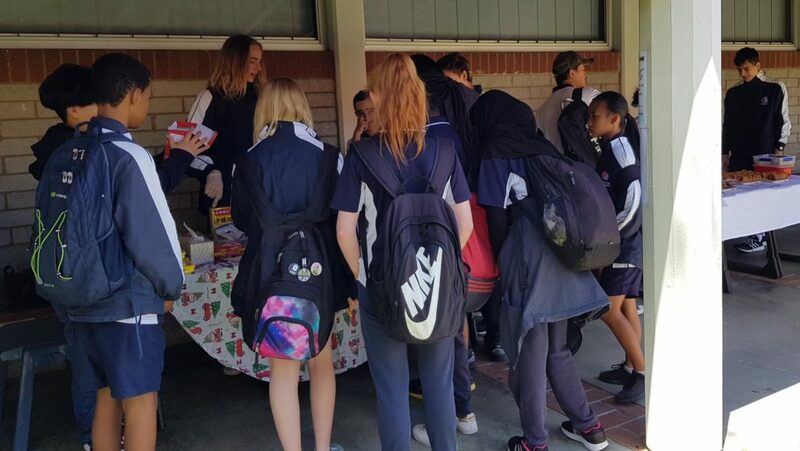 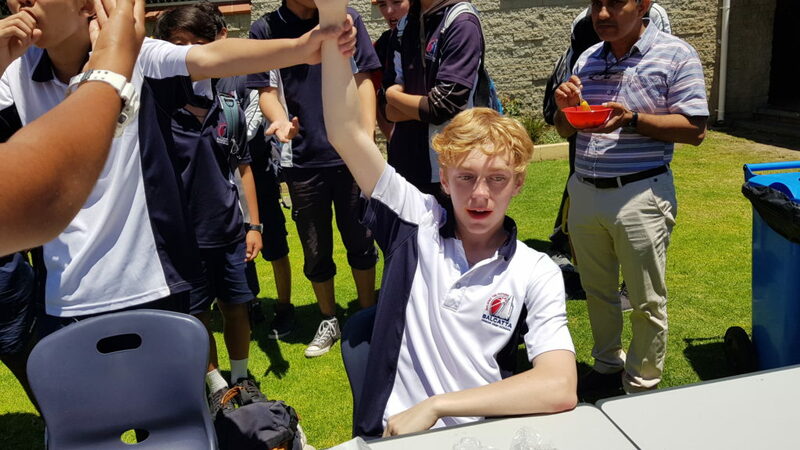 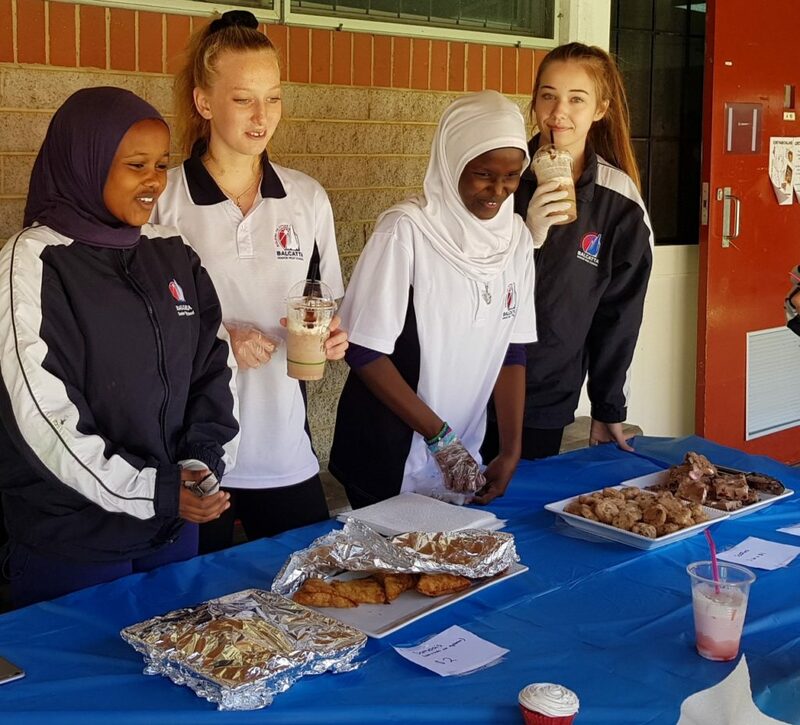 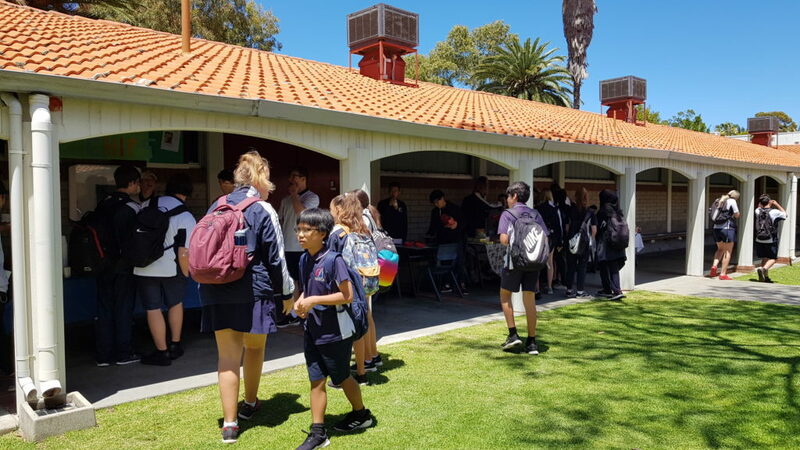 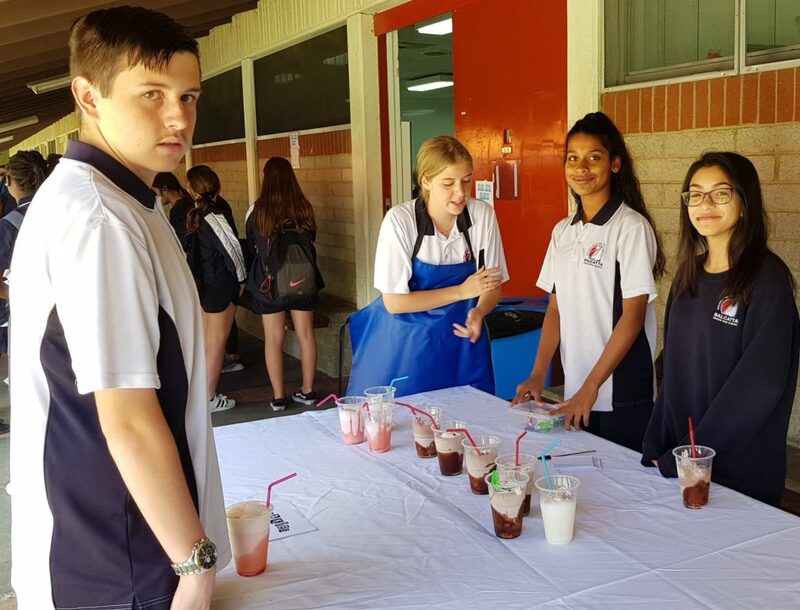 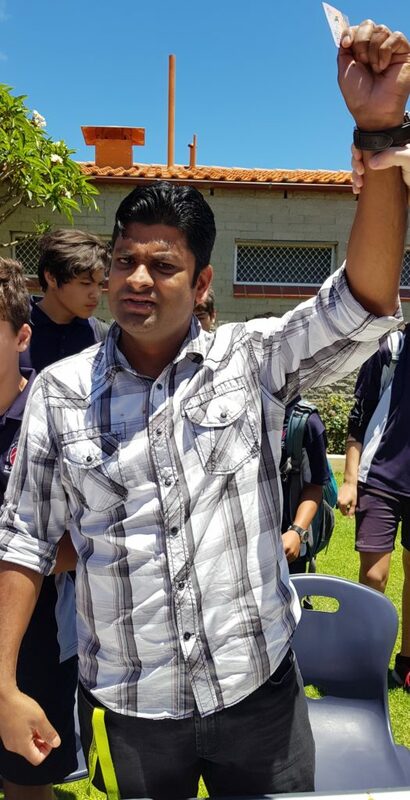 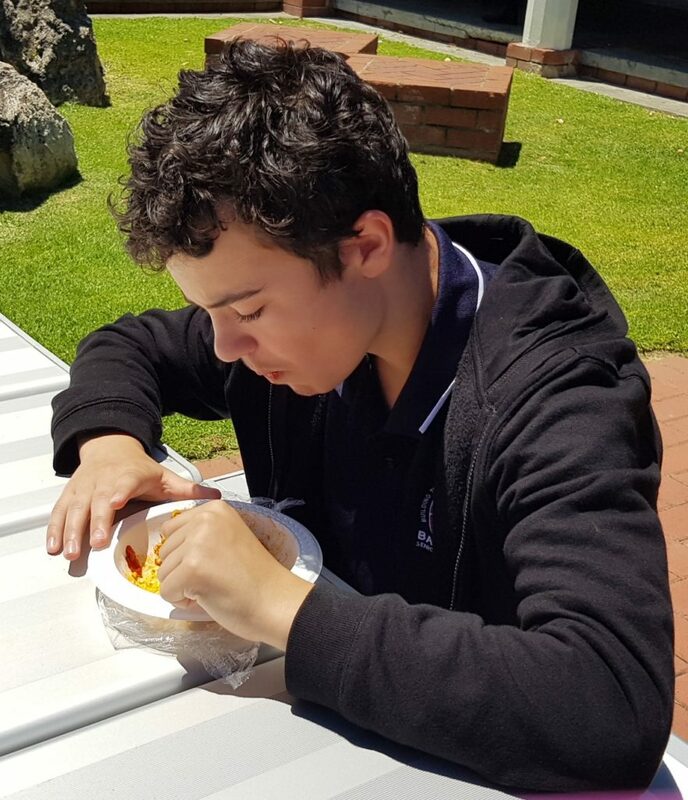 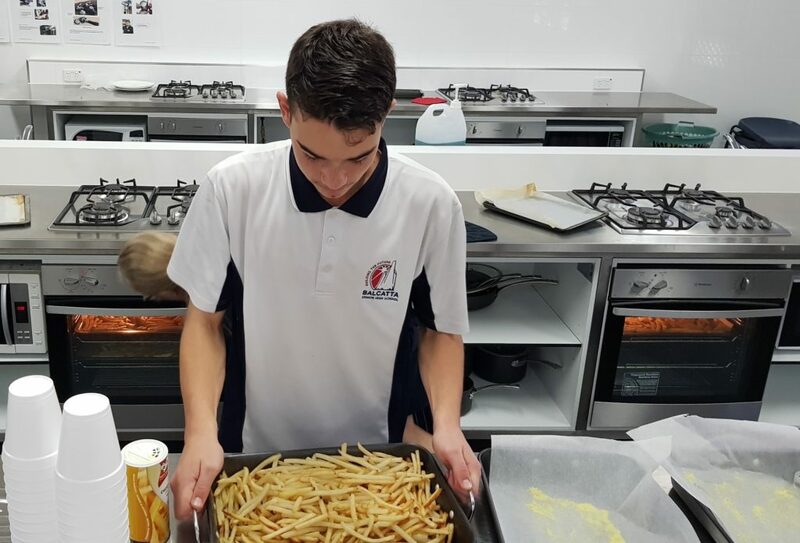 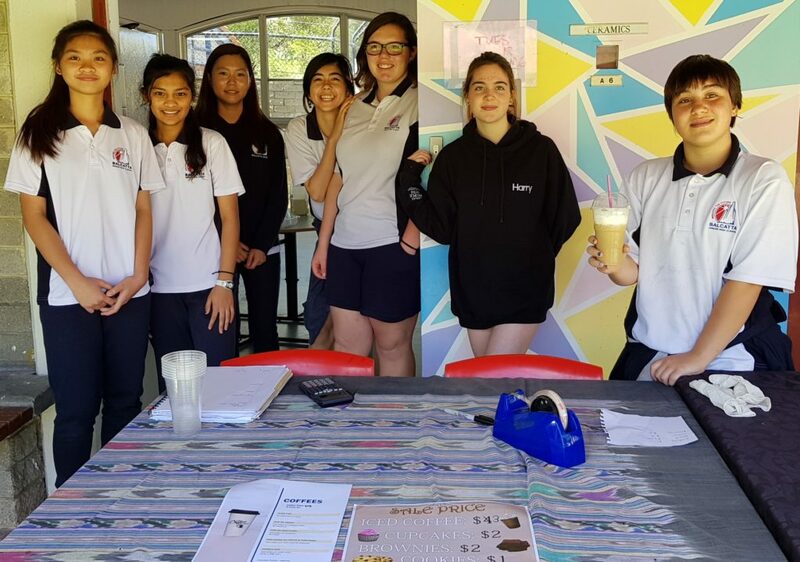 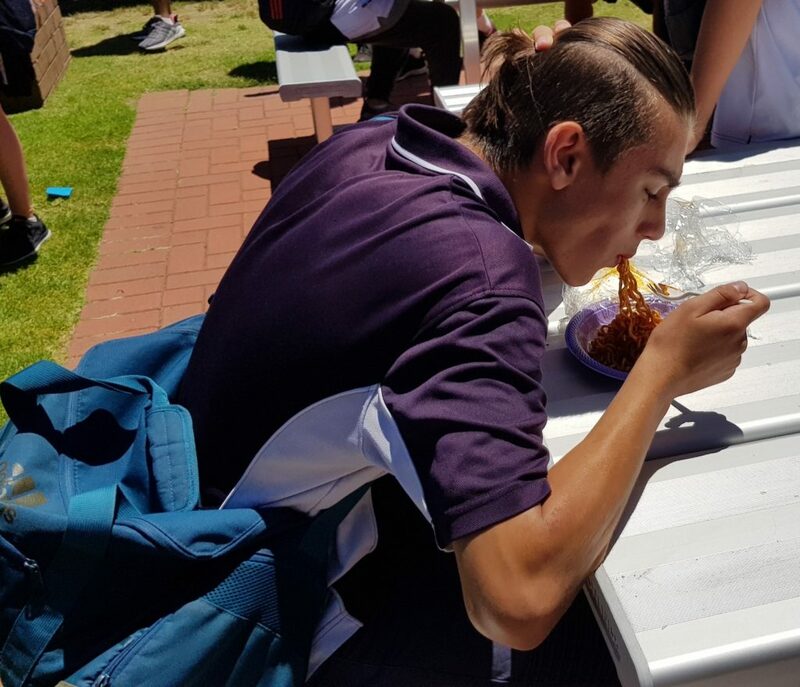 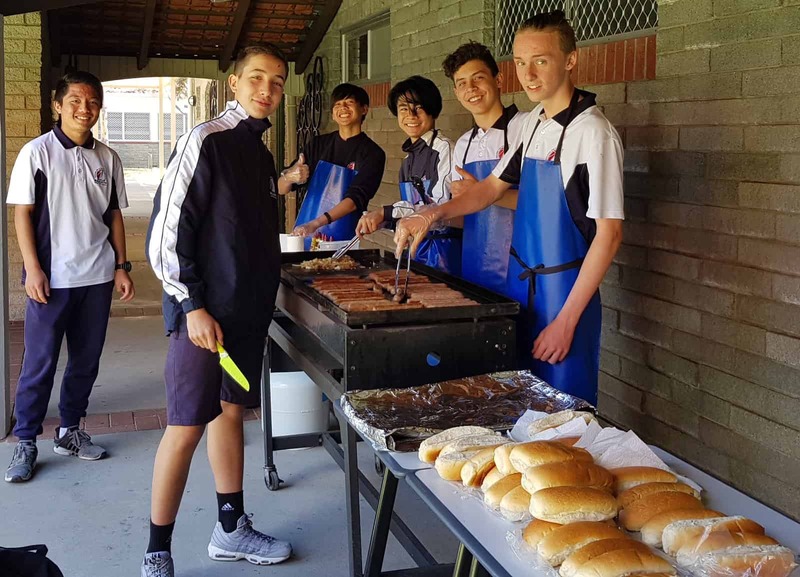 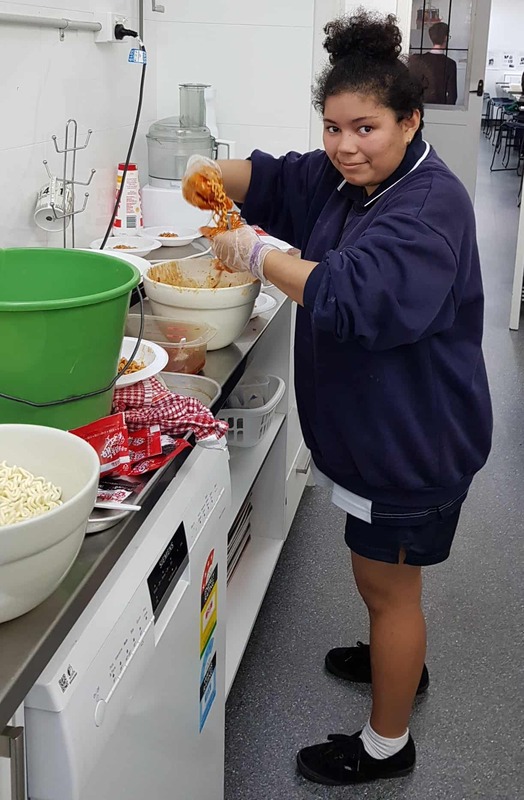 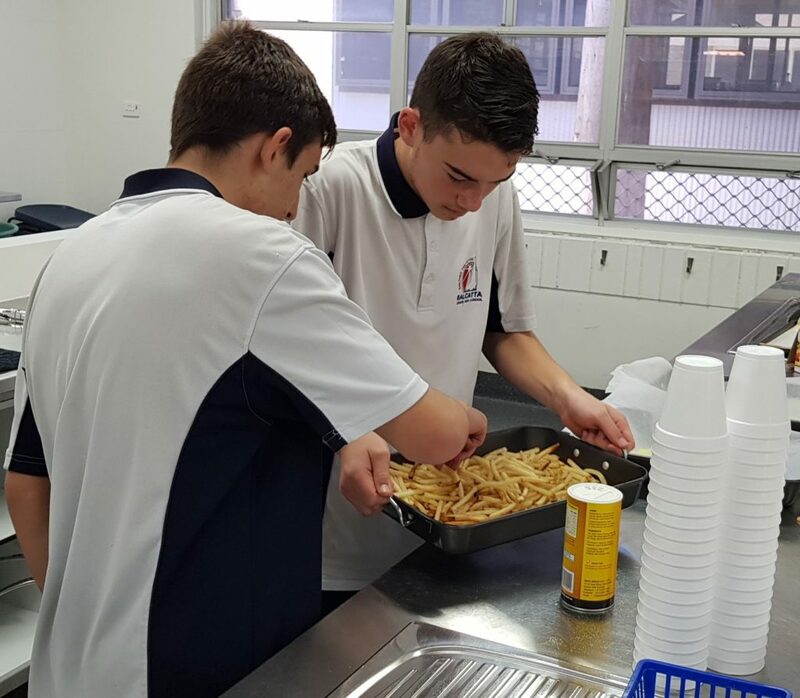 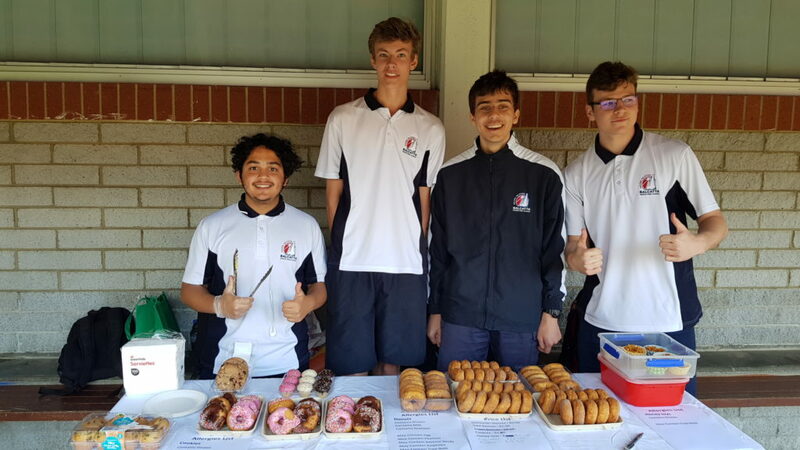 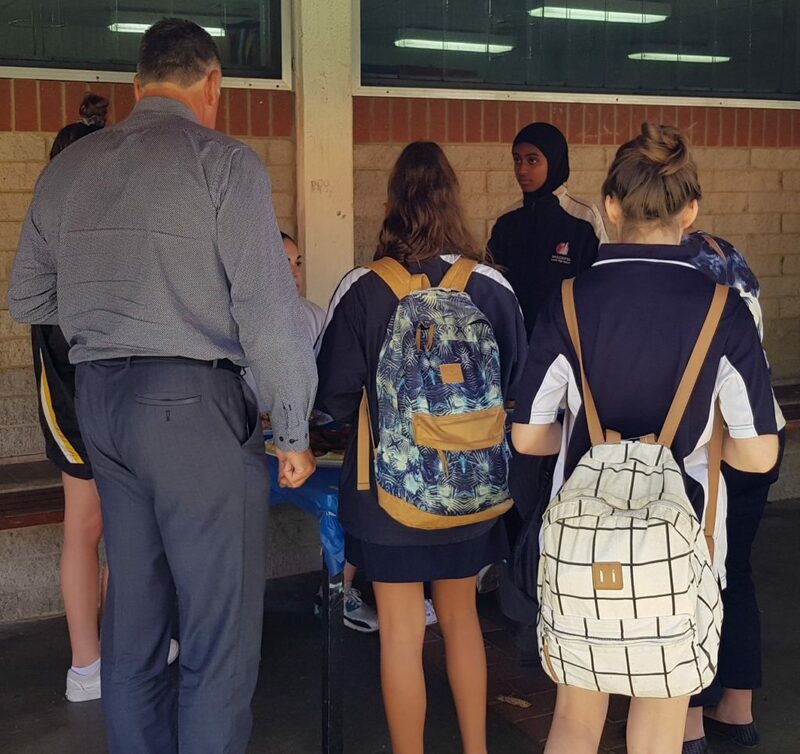 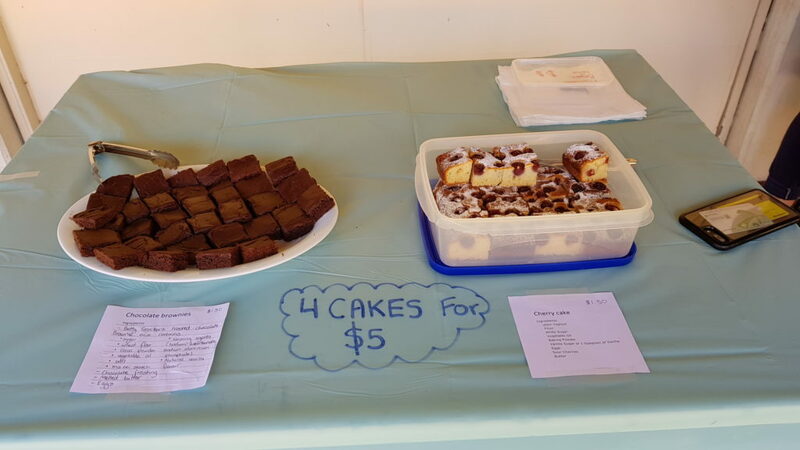 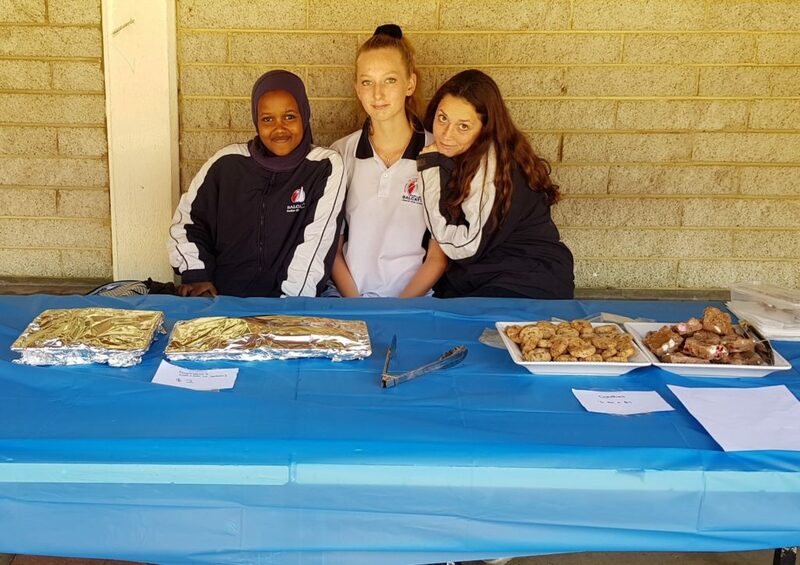 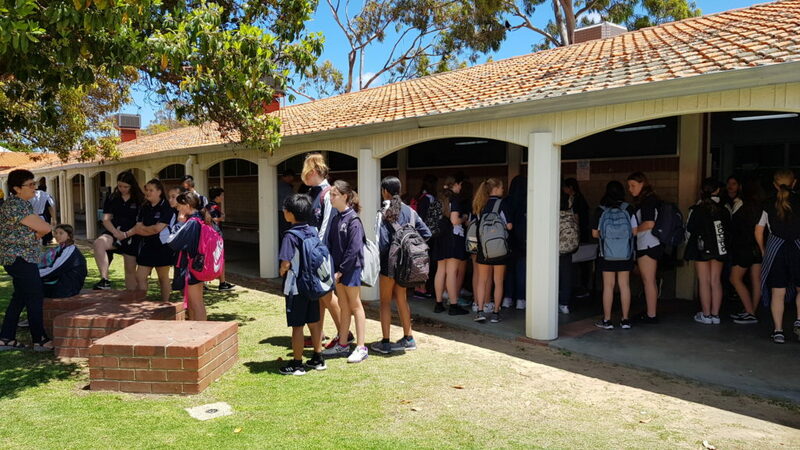 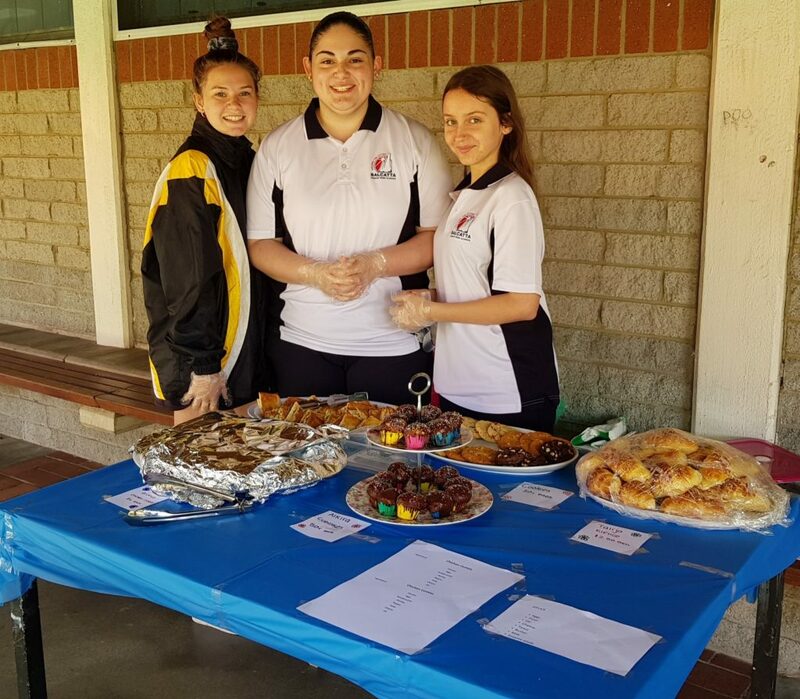 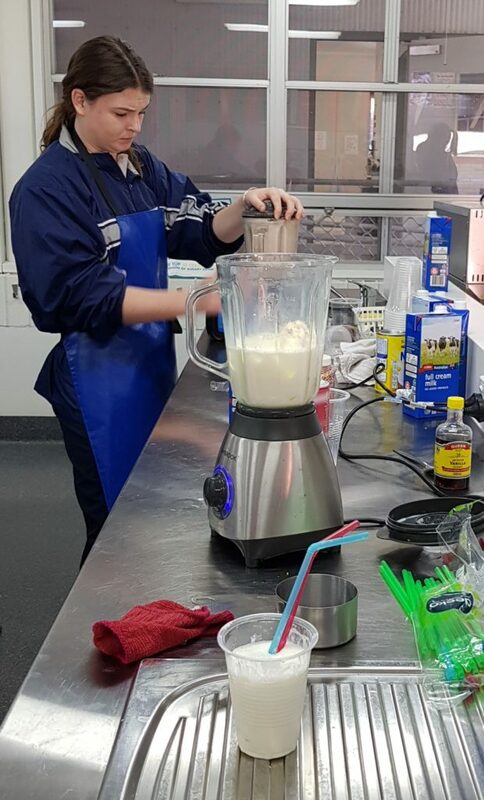 Our Year 10 HaSS (Economics and Business) classes hosted a fundraising activity on Thursday 6 December during Lunch 1 and 2. 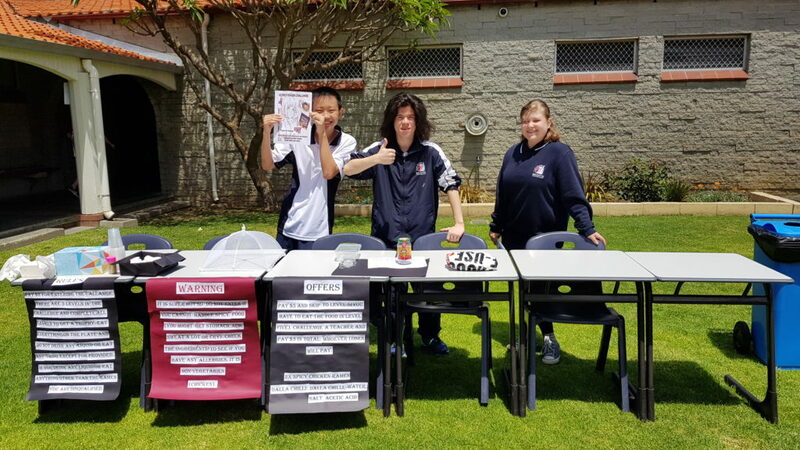 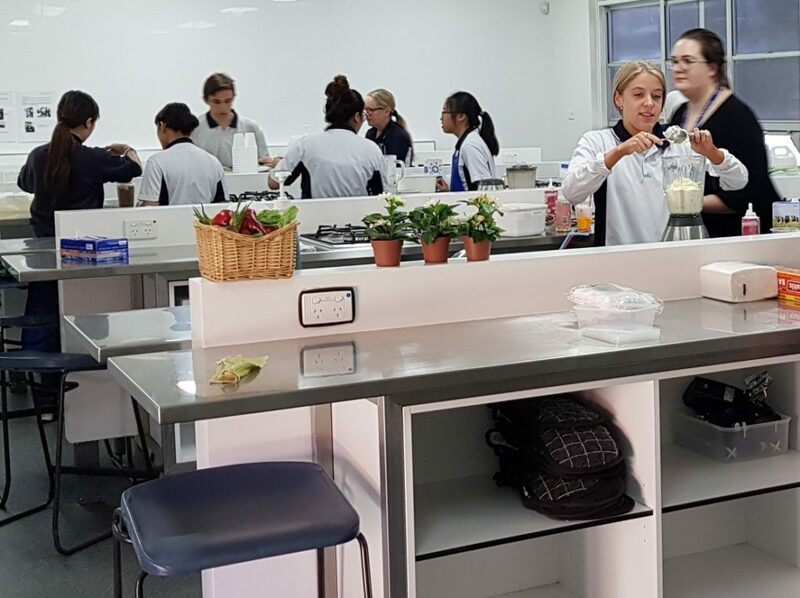 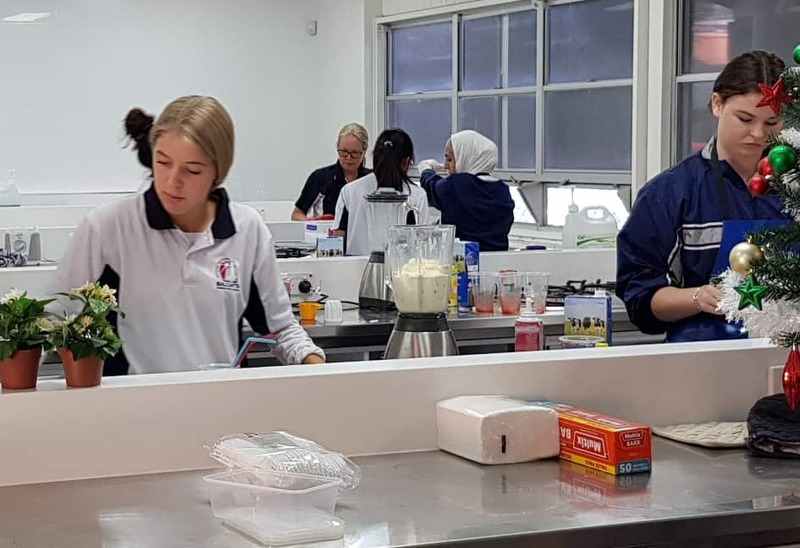 This project was aimed at teaching our students to work with their peers, learning new skills and demonstrating some of our school's values of "Respect, Unite and Excel". 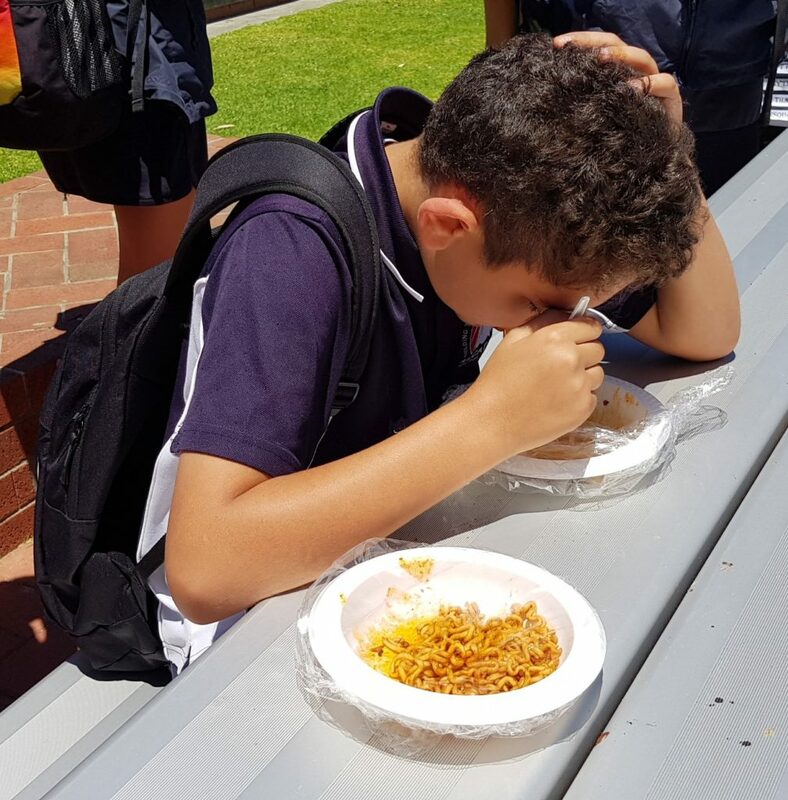 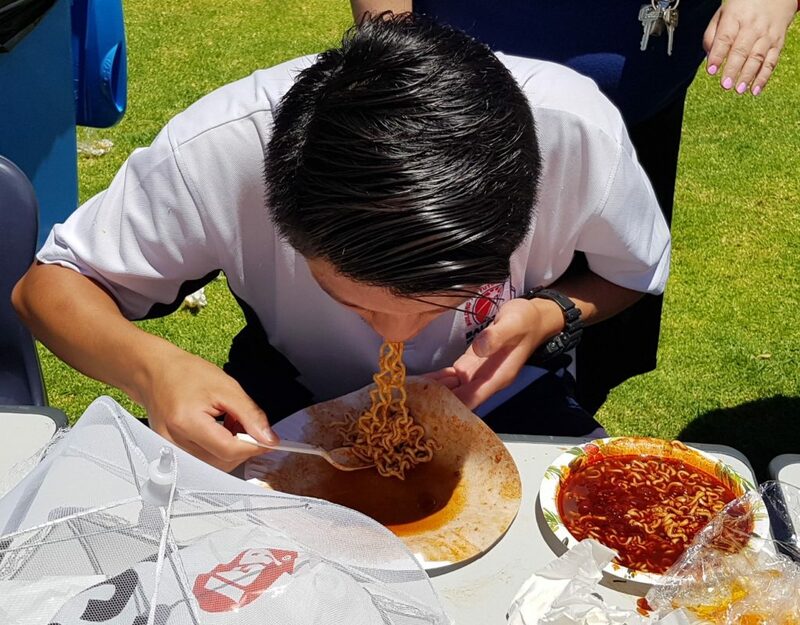 The event was very successful with teachers and students buying food and taking part in the Spicy Ramen Challenge. 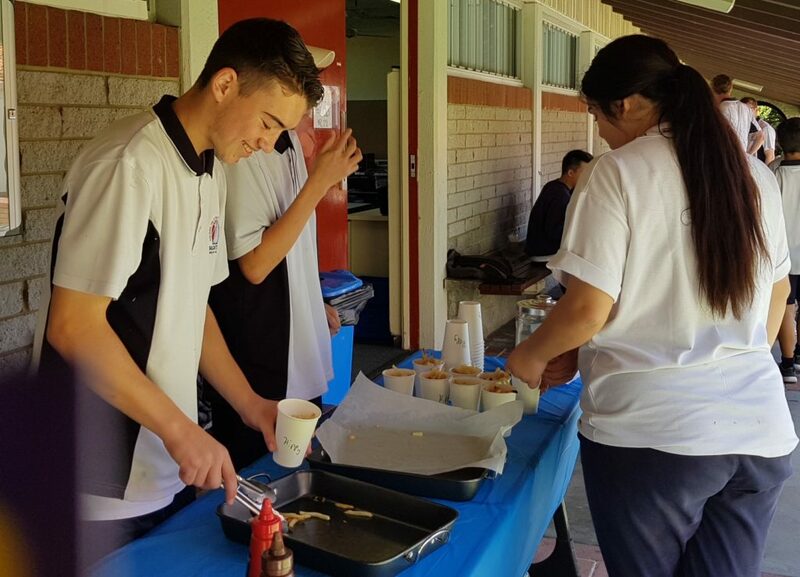 The Challenge seemed to be the most popular food stall, with students and teachers participating in the challenge. 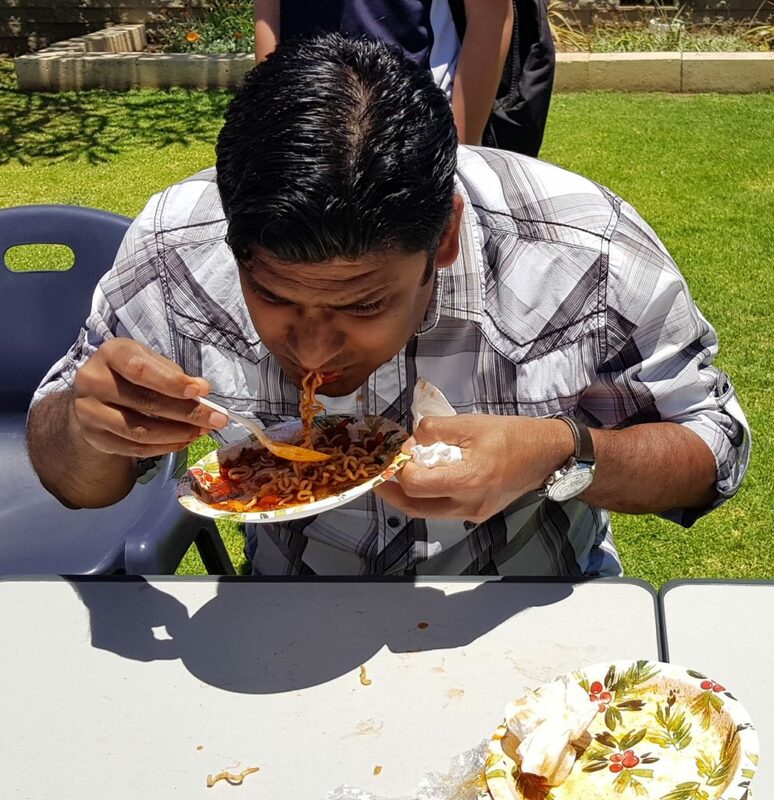 The two finalists were Mr Niroshan and Joshua Miller. 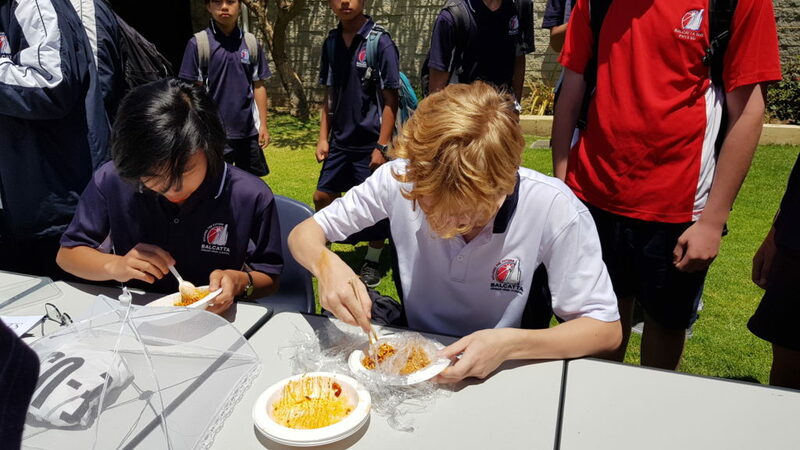 They both managed to eat their way to Level 6 with Joshua being declared the winner as Mr Niroshan took a sip of his milkshake. 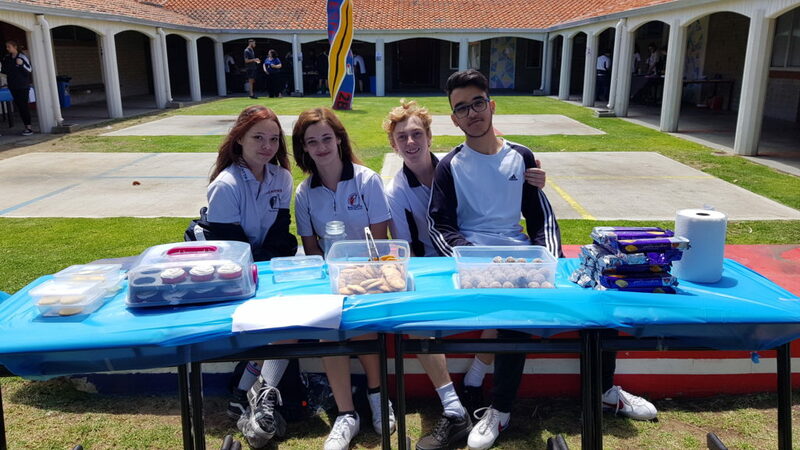 The students raised a total of $801.70 with the proceeds being donated to selected charities including our sister school in Cambodia.